If you were on Instagram yesterday, then you may have seen the post I shared about all the Asian Pears I picked from my fruit trees. Our harvest this year has been amazing, but holy fruit, batman! There are literally pears for days (maybe even years) here at my house, and I don't quite know what to do with them all. Being the resourceful gal that I am, I took to social media and asked you amazing Freebs what you would do with a million and one Asian Pears; and boy did you guys deliver! Your suggestions, and a few things I found Pinterest, were just so good that I had to share all this pearfection (sorry, I couldn't help myself) with you! 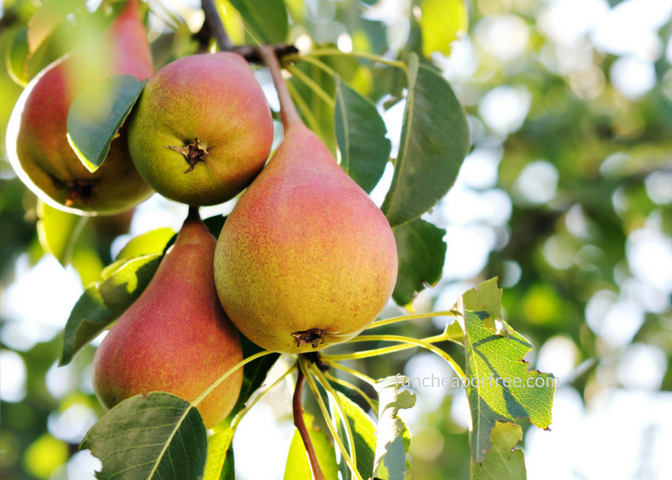 Don't have an Asian Pear (or any kinds of pear) tree? This post is still for you! 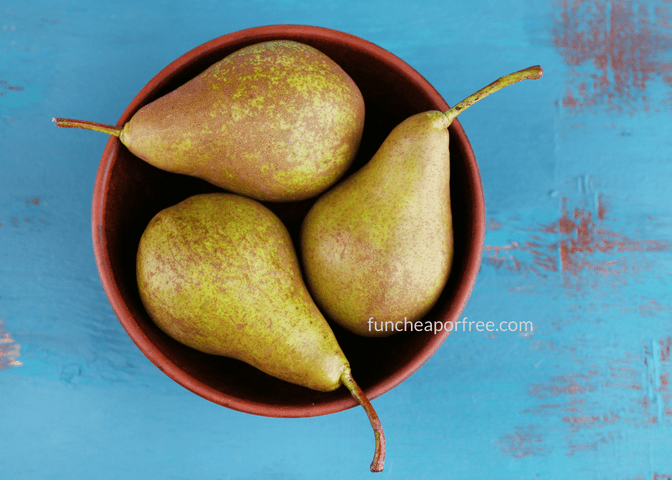 Pears are in season right now, so simply go to your local grocery store or orchard, buy a bag full of your favorite pears, and you can join in on the fun too! It's a great way to work pears into your shelf-cooking repertoire, all year long. All of the ideas I'm sharing are pure awesome sauce, but this first one is my favorite. Especially because it's all about doing some good. Freeze dry them! You can contact your County USU Extension Office to rent a freeze dry machine. They can also provide you with test recipes for preserves. There you go! 50 things to with pears (and asian pears). This list seriously couldn't have happened without your help Freebs, so thanks! 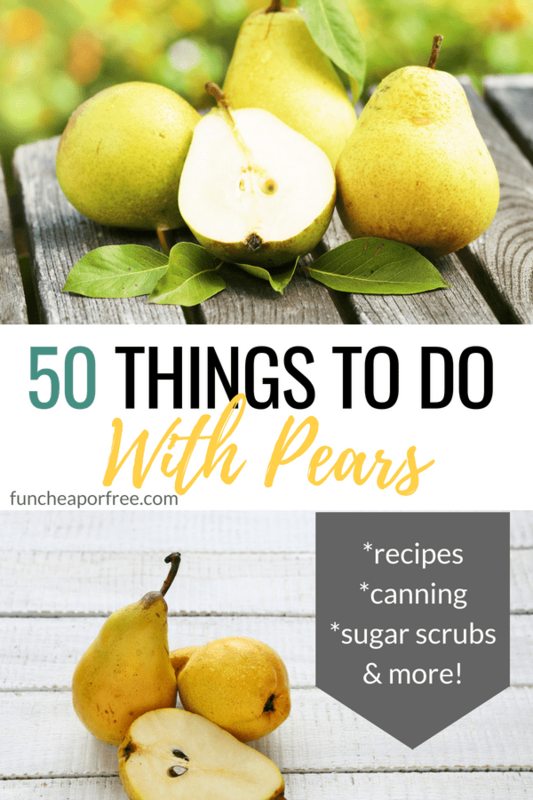 If you don't see your favorite use for pears in this list, then make sure to share! Also, don't forget to, check out this post I did a few years ago about 100 dinner ideas for busy nights if you are in need of some new recipes. I think you're going to love it!